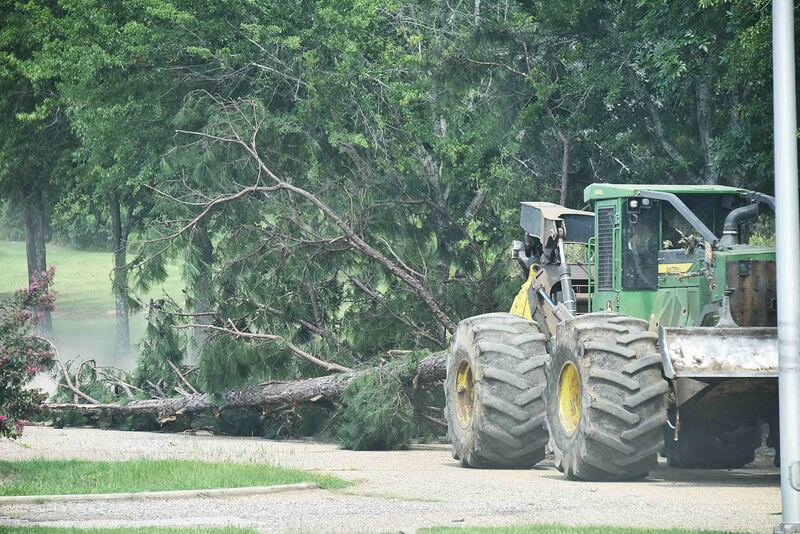 Lots of trees are coming down on campus, and it is intentional. 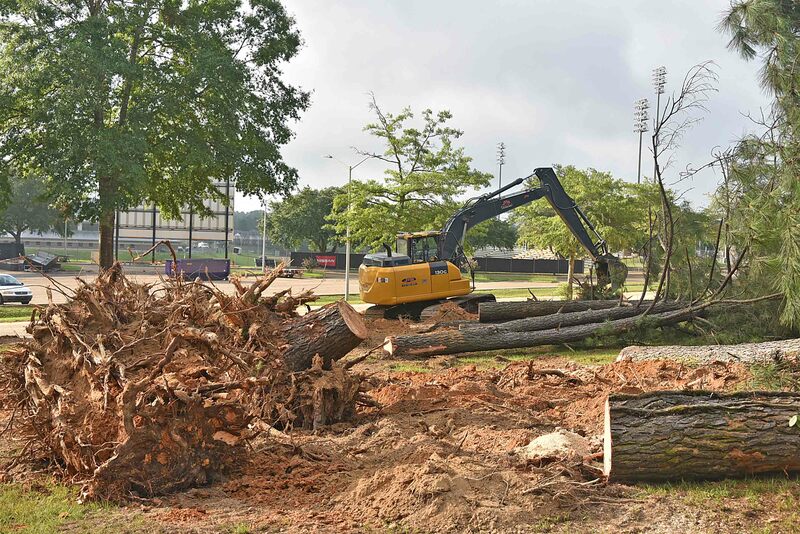 As a part of a campus-wide beautification effort, Grambling State University has had scores of trees cut down to better manage the woodlands, to make campus safer and to make it more community oriented, said Frederick Carr, the director of facilities. 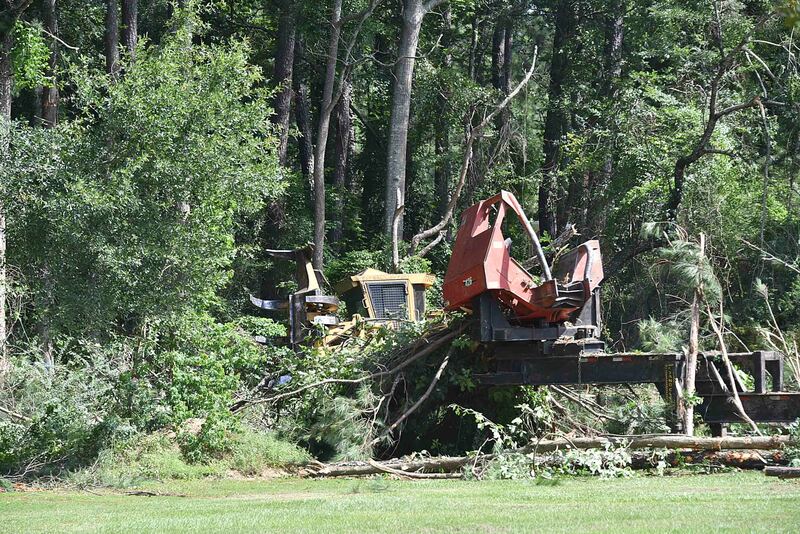 As students return for fall classes, they may notice fewer trees in some key places. 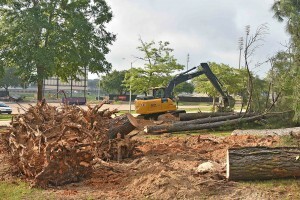 Trees have been thinned a mile or so down the road from the Subway, the areas by the catfish and fish ponds, the area behind the Conrad Hutchinson Performing Arts Center, the trees by the Judicial Affairs office and a few miles away on GSU’s West Campus. 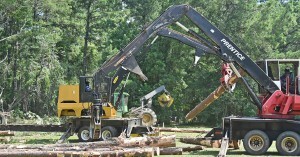 Grambling State University has hired Halley Timber Company, Inc., of Farmerville, Louisiana. 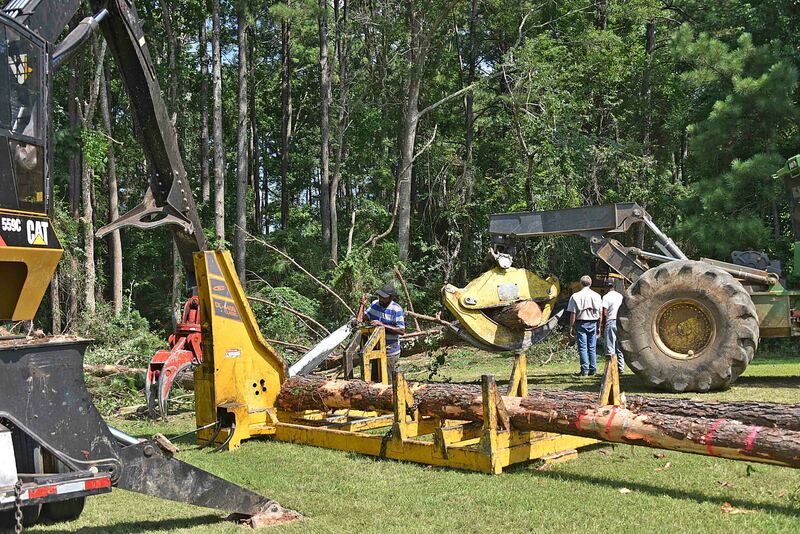 Halley employees are trained to help customers with timber cutting, timber thinning, land management and timber harvesting. 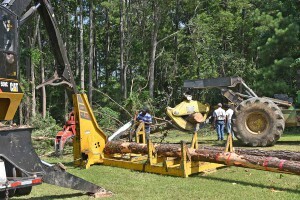 GSU hired them to harvest their timber, and to then help them sell the timber for profit. 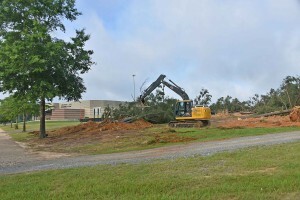 Meanwhile, Carr likes that the university is seeing some financial gain from the project. 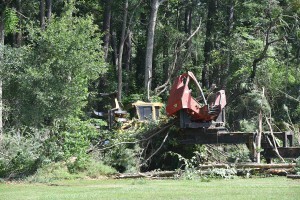 “When you cut trees down and start to sell them commercially, they are measured by the ton,” said Carr. 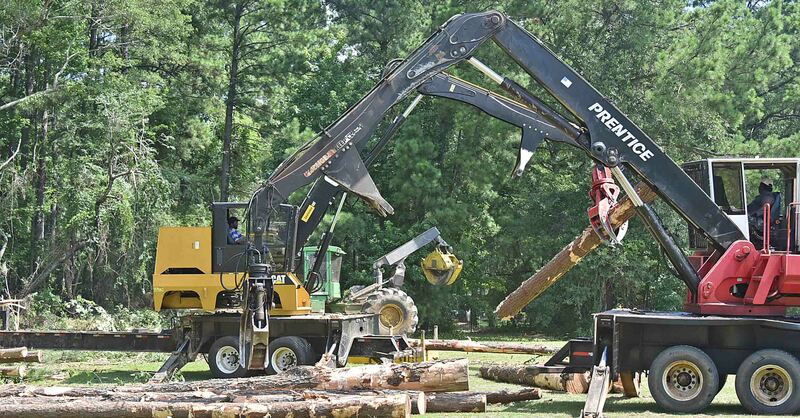 “The more tons that you have, and the better the quality of the tree is, the more money that you will receive for the ton.” He said Grambling State has harvested more than 200 tons of timber since June. 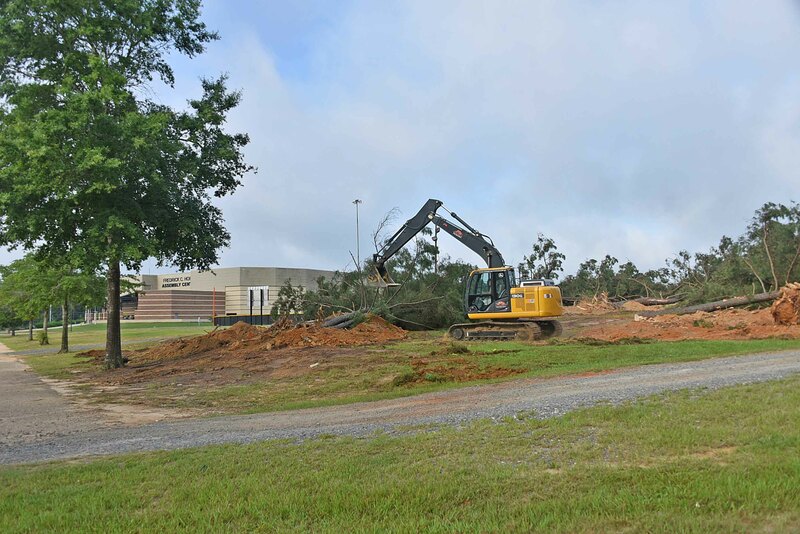 Once more work is done in the area of the facilities building and along the road leading to the fish ponds not far from RWE Jones, there will be a large space for fans to tailgate when they visit during football season. Carr has an idea that would entice some fans to come early or stay longer once games have ended. 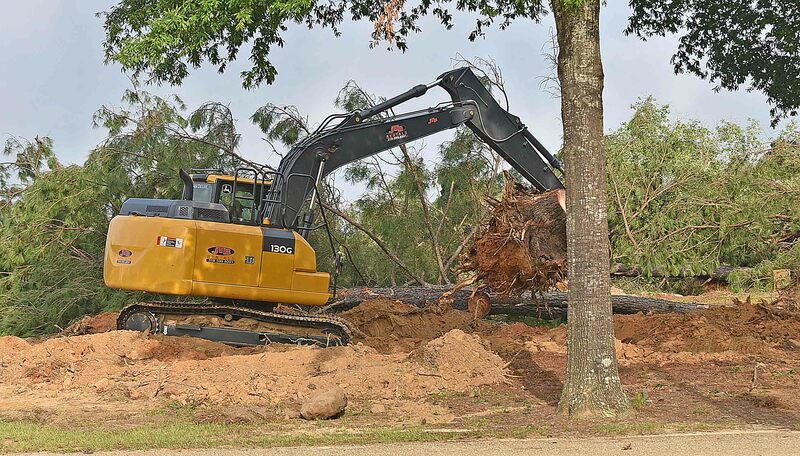 Linwood Banks, 21, a junior business management major from Alexandria, Louisiana, knew very little about the project, but was happy to hear about how it’s coming along. Banks, a defensive lineman for GSU’s football team said it is good for the team and all students. This entry was posted in Uncategorized on August 31, 2017 by admin.